Expert stress management tips and techniques to help you cope before, during and after the intense examination period. 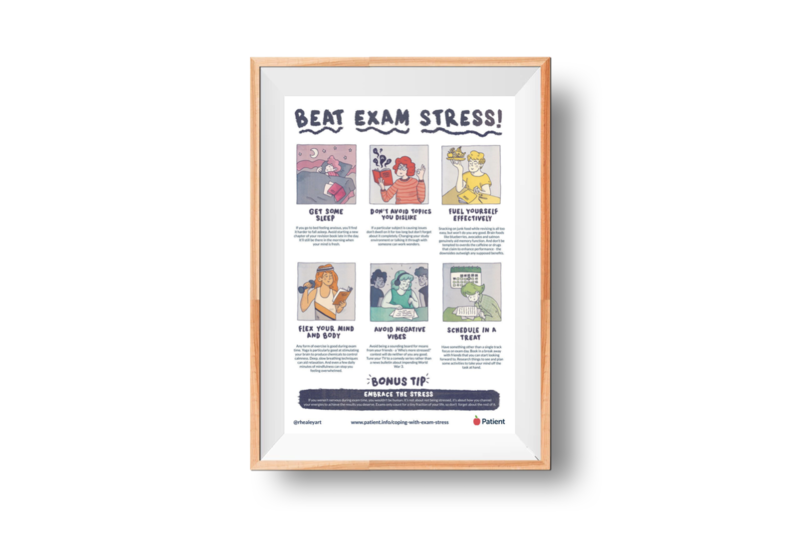 Get your copy of our poster full of expert tips to help you avoid and embrace exam-related stress - Download PDF (0.2 Mb). With exam season just around the corner, some students and teachers will feel the pressure more than others. But these tips can help you beat exam stress. Do teenagers really need more sleep? This leaflet gives some general tips on how to reduce stress. However, see a doctor if you develop persistent anxiety symptoms.